Sgt. Len Tonkin RAAF joined the Squadron in April 1942 and was one of the first pilots to convert to Stirlings (from Wellingtons at 115 Squadron). In fact, he believes he may have landed the first Stirling at Stradishall as he can recall the excitement its arrival generated at the Station from the CO down. The CO at the time was W/Cmdr Ken Knocker. Len was also amongst the first crews to fly 214's Stirlings on ops in May 1942. After returning to England in April 1945, Len married an English lass from Liverpool and last month (July 2003) they celebrated their 58th weddiing anniversary. The war against Japan was still being fought and in late July Len returned to Australia by troopship and was 1/2 way back when VJ day was declared. His bride travelled to Australia 12 months later on a liner provided for war brides... much more comfy than the troopship apparently !! 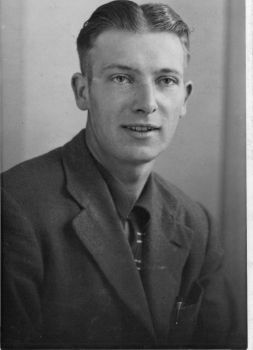 Both Len (born about 1917) and his son live in Adelaide South Australia (2008). The photo above shows Len alighting from G George (R9326) after the first 1000 bomber raid on Cologne on 31 May 1942. It appeared in numerous papers (including the local paper in Adelaide). Buried in HAMBURG CEMETERY. Reference : 5A. F. 15. Son of Harold and Henrietta Toplis, of Olton, Birmingham. them at this time. Walker was on leave prior to being commissioned. Jack is in the back row 2nd from the left. Douglas Waters is in the back row 2nd from right. Can anyone identify any of the other people in the photograph? 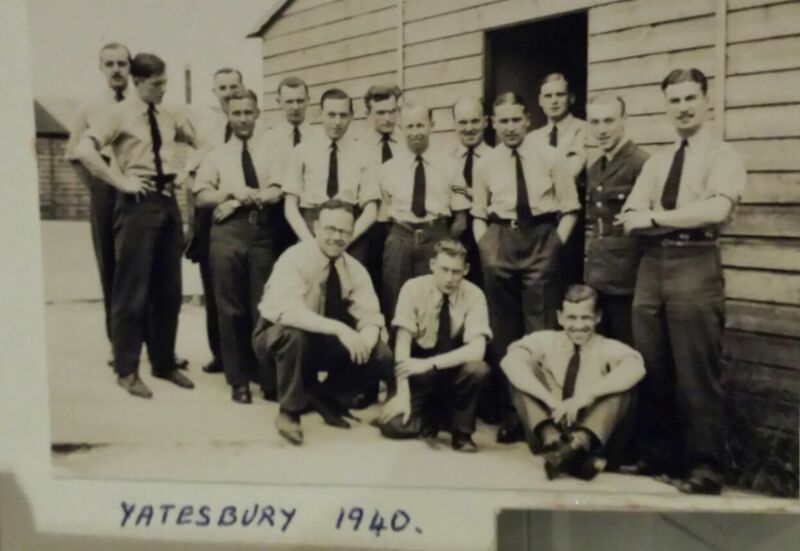 Taken at Yatesbury in 1940. Can anyone identify any of the other people in the photograph? Son of John Henry and Gertrude Tomkinson, of Fareham, Hampshire. Jack as he was known by his family was my uncle and he was engaged to be married to my mum but was unfortunately killed in action just a few weeks before the wedding. As a family loss my Grandmother never got over the loss of one of her sons and died in 1945, and my mum eventually married Jacks brother, my dad. She would never speak about the war and would never watch any war films. By the start of the war his Mum and Dad and all the family were living in Warnford in the Meon Valley in Hampshire. There is a memorial at the Church of our Lady of Warnford dedicated to him. The family moved to Fareham in Hampshire after the end of the war. Buried in VLIELAND GENERAL CEMETERY. Reference : Grave 50. Son of George and Gertrude Treppass, of Erdington, Birmingham. 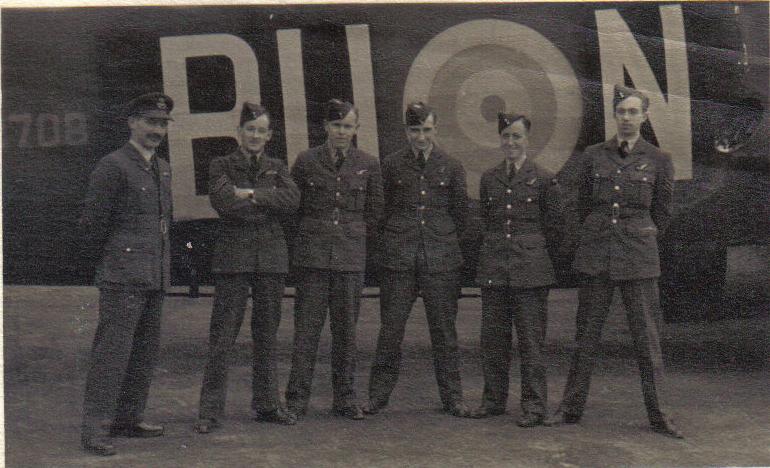 At No 26 Operational Training Unit in 1943 Bruce crewed up with Pilot Bob Mackett, Bomb Aimer Bill Wilkinson, FO Alan Deadman, Wireless Operator Gordon Lowe and Tail Gunner Doug Houghton. 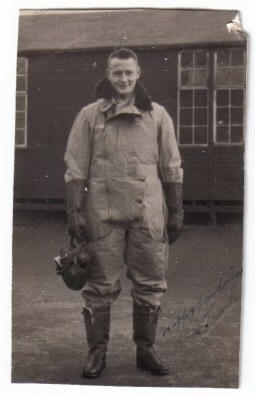 In July 1943 Flt Eng Stan Newton joined the crew and they all joined 214 Squadron at RAF Chedburgh the end of the month. Son of Roy and Madelena Tait, of Dilke, Saskatchewan, Canada. KIA on operations over Germany. 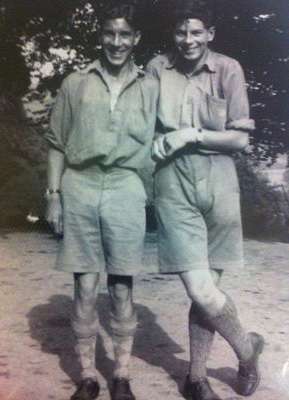 See W/O Harry Ward's memoirs for 26 January 1942 for his recollections of F/S Francis Tait. Tom Tate, the 26-year-old survivor of a remarkable 44 sorties and with his 45th almost completed, could not know that his luck was about to be tested once again. Tom Tate remembers the order: 'Bale out! Bale out!' He obeyed, hurling himself into the rushing darkness. Above him, the aircraft flew on. He drifted in the inky blackness unsure whether he was even descending. 'Everything was dead still,' he recalls. 'There was no movement, no sensation, no lights. Suddenly there was this mass of earth rushing up towards me.' He landed safely and, after blundering about for half an hour, bumped into a fellow crew-member Norman Bradley. Together they set course west. It proved a short journey. At the very first village they came to, they were surrounded by local people and hauled off to a nearby interrogation centre. For all of Thursday and most of Friday, Tate was interrogated by German forces in a perfectly acceptable fashion. 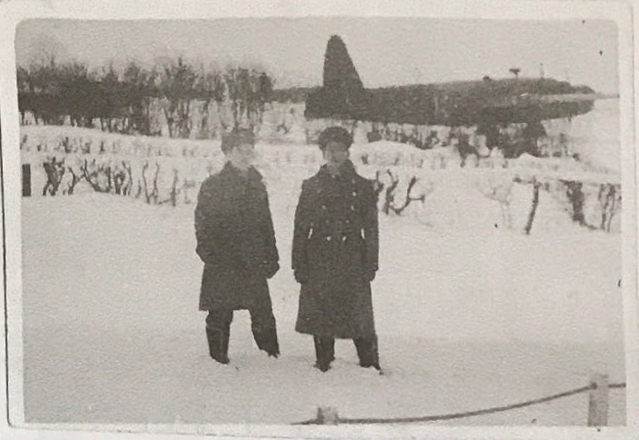 As well as Bradley, five other crew members had also been captured and the next day the seven men were transported under armed guard en route for a prison camp. The journey was to take them through a town called Pforzheim, which three weeks earlier had been the target of a devastating raid by Bomber Command. Tom Tate would never forget his first sight of Pforzheim. The town lay in a valley. When the RAF men looked down on what had once been a thriving community of some 70,000 souls, all they could see was ruins. 'It was no more than a pile of rubble,' Tate remembers in awed tones. According to official records, a huge force of Lancasters and Mosquitoes had dropped 1,825 tons of bombs on Pforzheim in just 22 minutes, causing a firestorm that destroyed more than 80 per cent of the town's built-up area and killed at least 17,000 people. Many died in their cellars, when their lungs burst with the intense heat. Although Tom Tate's crew had not taken part in the raid, his shock at this ghastly evidence of the bombers' capacity for destruction was immense. He was certainly not surprised when some of the surviving townsfolk, catching sight of the prisoners' RAF uniforms, began stoning them furiously with the rubble that lay at their feet. If it wasn't for the armed guards defending them from the onslaught, all seven men might have been killed there and then. As it was, they reached the neighbouring viIlage of Huchenfeld, where they were billeted for the night in a boiler room filled with heaps of coal. They were given buckets of water. Tom Tate was exhausted and after he had removed his boots to wash his feet and socks, he lay back on the coal and was instantly asleep. The next thing he knew, he was being violently dragged up the iron staircase out of the cellar. A gang of young men hauled him and his fellow prisoners along the street. Their captors were dressed in ordinary civilian clothes, but there was a menacing air about them and they were evidently in a state of high excitement. 'Then someone hit me on the head,' Tate says. 'Blood flowed. God, I thought, this is lynching.' The mob now turned right taking their captives toward the church. Increasingly alarmed, Tate noticed a barn with a huge pair of doors. Inside in one of them was a small door, which was open. An electric light burned inside. And it was then that Tate saw something that froze his heart: a stout beam from which hung several heavy ropes. I saw those ropes and that instant my imagination told me we were going to be hanged, he remembers. Driven by fear of his imminent execution at the hands of a baying mob his instinct for survival kicked in. Bursting free from his captors, he ran like mad in his bare feet, back up the road. It was a spontaneous action, and it saved Tate's life. One shot was fired alter him, but he ducked down past some houses, raced across a field and plunged into the nearby woods. Luck was with him. Most of the trees in the area were pines, difficult to hide among, but by chance he had found a copse of oaks, whose leaves lay thickly on the ground. With the Instinct of a wild animal, and without even thinking what he was doing, he burrowed under the leaves until he was hidden from sight. For a while he lay awake, troubled by a sudden burst of gunfire he had heard coming from the village, wondering what had become of his comrades. Then he fell asleep. Tom Tate awoke in his leaf-mould bed at dawn on Sunday. By lunchtime he had been recaptured. But now, at least, he was in the hands of the German Army, not the dangerous youths of the night before. He spent the remainder of the war as a PoW - much of it in horrendous conditions. For weeks he was on the road with thousands of other, near-starving men, mostly Russians, as the Germans retreated from the advancing Allied forces. But he survived. Amazingly, so did four other members of the Flying Fortress crew who had been on board that fateful night. The five murdered airmen are remembered at The RAFA Ely Cambs Branch Memorial Rose Garden situated at what used to be the RAF Hospital there. (now the NHS Princess of Wales Hospital). Tom Tate attended the dedication ceremony which was held in 1999. Sadly Tom has now passed away. He was cremated on the 10 February 2016. Over 80 people attended including from RAFA, British Legion, Aircrew Assn, plus standard bearers, a trumpeter from the Central Band plus a variety of RAF people from Halton and High Wycombe, including a Group Captain. Son of Arthur Jessie and Lillian Maude Taylor, of Sway, Hampshire. Albert was born in 1920. He was called up on 11 November 1939 and was selected for aircrew training in the Royal Air Force. June 1940 - he was at No 11 School of technical Training at RAF Credenhill. He was the promoted to Sgt. He then went to No 15 OTU at RAF Harwell near Didcot. 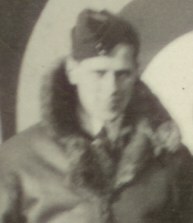 Sgt Taylor was posted to 214 Squadron in October 1940. Named on the following Memorial : RUNNYMEDE MEMORIAL Panel 53. Son of Walter Charles and Georgina Sophia Taylor, of Sutton Scotney, Hampshire. 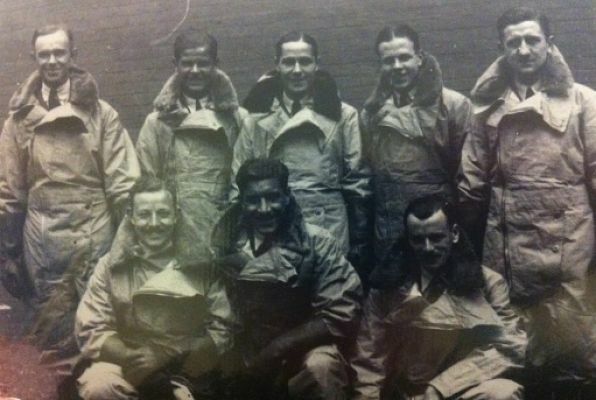 This group picture provided by Richard Pickett shows a group of unknown personnel except Jack Taylor is 3rd from the left. Can anyone help to identify the others in the group? 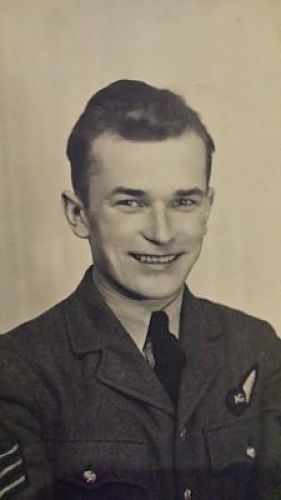 FS Arley Henry Thiessen , Air Gunner, R/122988, Royal Canadian Air Force , Nationality : Canadian. KIA 03 February 1943. He is buried at AMERSFOORT (OUD LEUSDEN) GENERAL CEMETERY. Plot 13. Row 5. Grave 84. Son of Walter John and Kate Trevillian, of Beckenham, Kent. 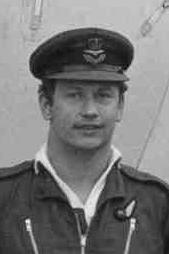 Sgt Frederick Trinder died on 19 December 2002, the same day as one of his crew mates, PO Geoffrey Shattock. Son of Lewis Alexander Truscott and of Kate Evelyn Truscott (nee Foulds), of Toronto, Ontario, Canada. Truscott attended Kew Beach and Norway public schools and Riverdale High. He was an active member of Kew Beach United church young men's bible class and was both a ski enthusiast, and had belonged to the Fairmount Cycle club. Prior to the war he had worked for a radiator company. He has two brothers Osmond and Jarvis, and four sisters, Mrs. Clifford Williams, Mrs. Baden Powell, Mrs. William Brown and Mrs. Harry Elmer. 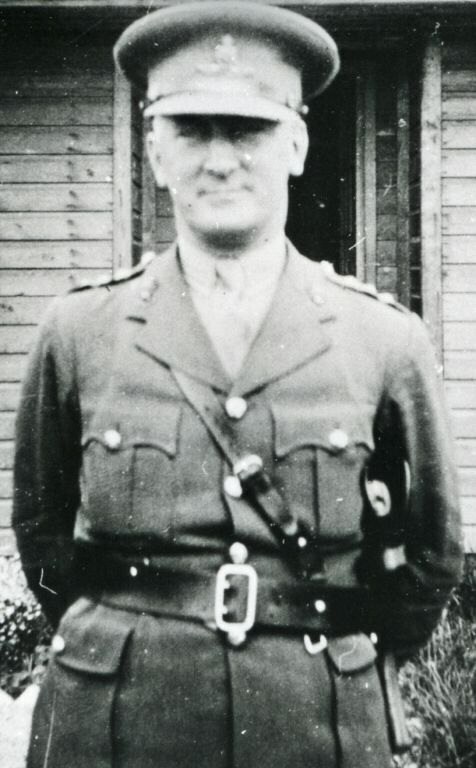 See W/O Harry Ward's memoirs for 26 January 1942 for his recollections of Sgt Francis Truscott. 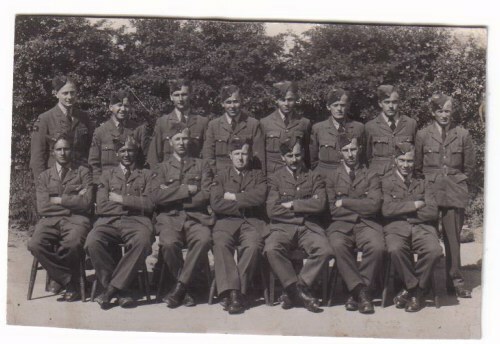 Sgt Frank Truscott back row, first on left. It is unknown where this picture was taken but it is obviously prior to his Sgt stripes and they are wearing an unusual arm patch. 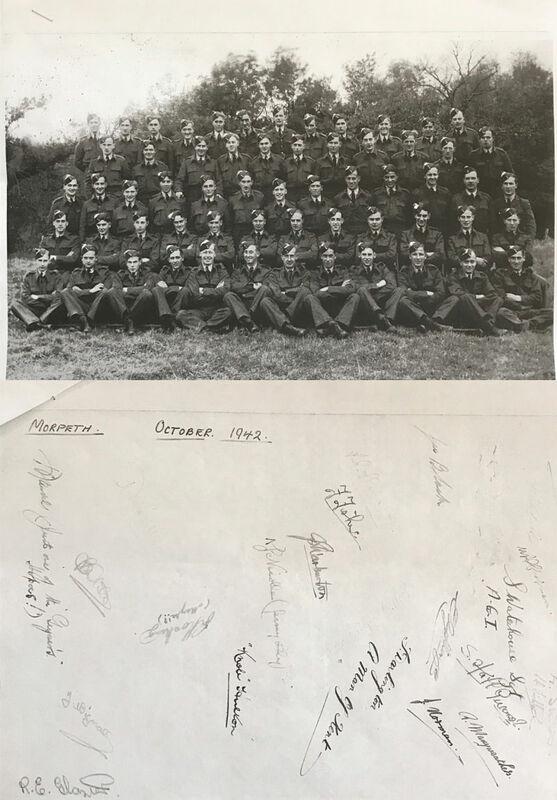 It is my guess it was taken at an OTU somewhere in England near or upon graduation as a Wireless Operator, note none are sporting the Air Gunners badge yet either. Sgt. Frank Truscott went to England on Tanker to Join R.A.F. Yesterday was the 41st wedding anniversary of Mr. And Mrs. L.A. Truscott, Woodbine Ave., and they eagerly awaited a cablegrom of congratulations from their son, Sergt. Frank G. Truscott. He was overseas, a wireless air-gunner with the R.A.F in England. They received a cable but instead of congratulations, it advised them their son is reported missing after air operations Jan. 28. Sergt Truscott has been on operations with the bomber command since October, 1940. He went to England in June of that year, working his way across on an oil tanker. His parents were unaware of his intention to join the R.A.F. Until he wrote them saying he had been accepted. As soon as war broke out, he enlisted in the York Rangers, a unit which at that time was not mobilized,. Prompted by a desire for action, he obtained permission of his O.C. To quit to go to England. Typifying his "happy-go-lucky" spirit is the last letter the family received from him. In the middle he interrupted to say: " I'll have to stop now. Got an operation to do." Later he continued the letter adding "Well now I can go on. Just did a trip over Germany." NOTE: After quitting the Rangers, crossing the Ocean to England of his own arrangements and a year of intensive training, Frank looks justifiably proud sporting his new flight suit. 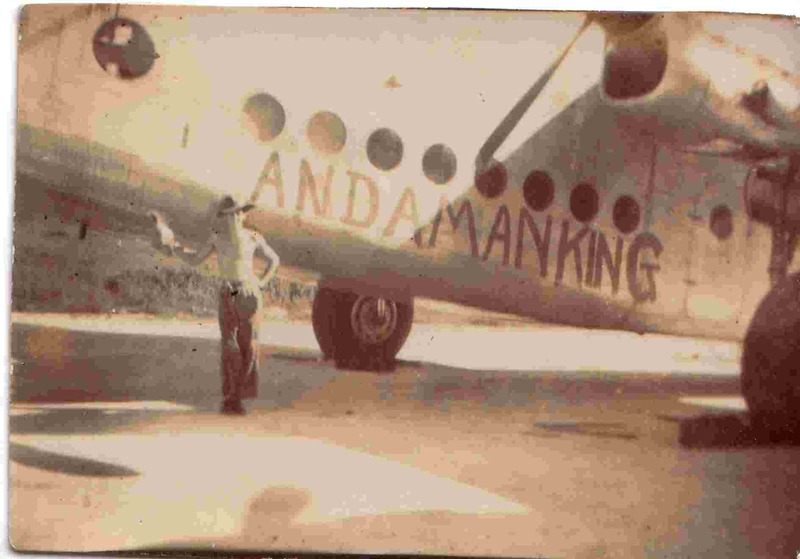 The photo caption reads: Happy Landings, Love Frank. Note how much he has aged since his cadet photo at the top of his profile. Sergt. 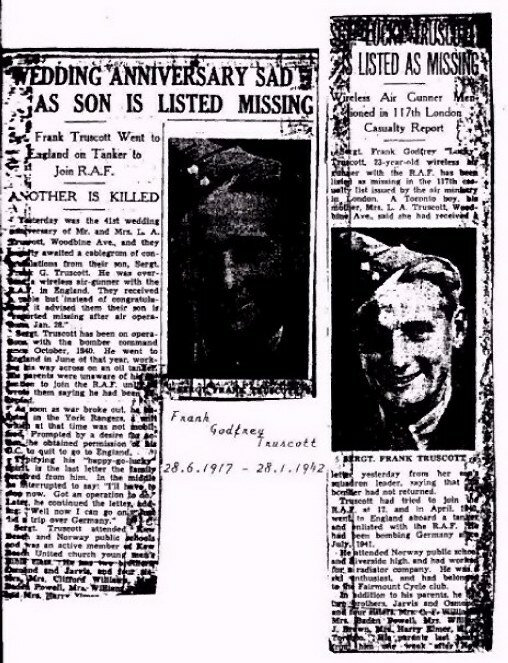 Frank Godfrey "Lucky" Truscott, 23-year old wireless air gunner with the R.A. F. Has been listed as missing in the 117th casualty list issued by the air ministry in London. A Toronto boy, his mother, Mrs. L.A. Truscott, Woodbine Ave., said she had received a letter yesterday from her son's squadron leader, saying that his bomber had not returned. Truscott had tried to join the R.A.F. At 17, and in April 1940 went to England aboard a tanker and enlisted with the R.A.F.. He had been bombing Germany since July 1941. He attended Norway public school and Riverdale High and had worked for a radiator company. He was a ski enthusiast, and had belonged to the Fairmount Cycle club. His parents last heard from him one week after (illegible). Buried in SCHIERMONNIKOOG (VREDENHOF) CEMETERY. Reference : Grave 69. Son of William Reginald Margetts Turtle and Katherine Maud Turtle; husband of Brenda Sigismunda S. Turtle, of Finchley, Middlesex. Reginald Turtle was born in 1916. Kate Brettell is the niece of F/Lt R W A Turtle. She writes: "He flew with WC Kenneth Knocker at 149 squadron and later at 214 squadron. Flt/Lt Turtle piloting Stirling N3761 failed to return from an attack on Emden. His body was washed up on a Frisian island called Schiermonnikoog. None of the crew survived. 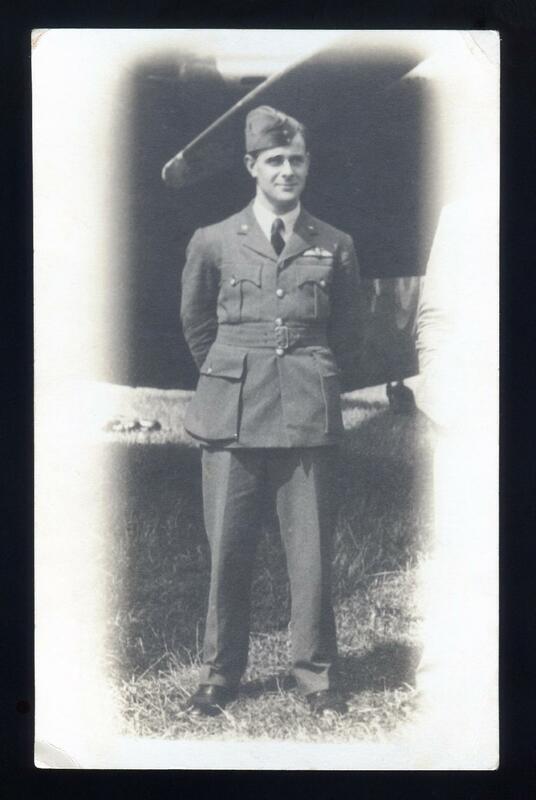 Flt/Lt Turtle's DFC was awarded posthumously. He was 26. Air Ministry, 27th July, 1943. ( 27/07/1943 ) ROYAL AIR FORCE. The KING has been graciously pleased to approve the following awards: -Distinguished Flying Cross Acting Flight Lieutenant Reginald William Arthur TURTLE (40866), No. 214 Squadron (deceased), awarded with effect from 9th June, 1942. Reg Mulder, Dutch researcher, has discovered the German post mortem examination report in a Durch archive and is in the process of advising family members. 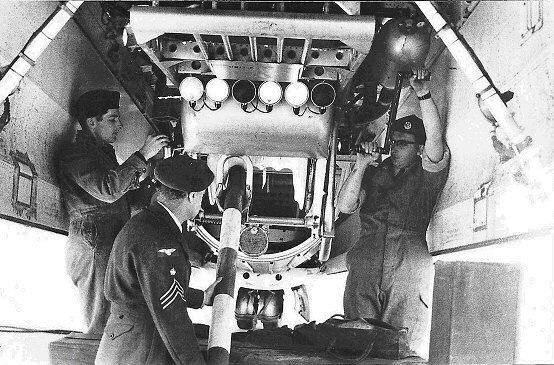 He was an armourer on Wellingtons but did not fly. A P Taylor is on the left of the photograph above. If anybody recognises the other person, please email the site administrators. Son of William John and Maud Kathleen Towell; husband of Margaret Ruth Towell, of Leigh-on-Sea, Essex. Richard was an accountant with the Alliance Gas Company in Dublin when he joined up, and at some time he played rugby for Leinster and was awarded 2 caps. 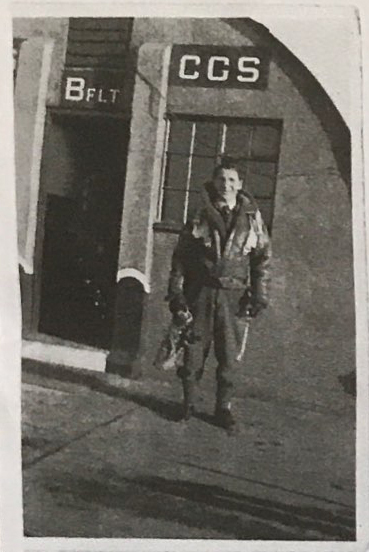 Richard Towell was involved in a crash on takeoff, he was flying with WO Gallop both at Chedburgh and Tempsford during 1943 - he broke his shoulder and arm and was admitted to Hospital for the first time on 11 December 1943. He was non effective for most of 1944 as he was in and out of hospital and in plaster. It was in January 1945 that he first joined Fg/Off Shorttle's crew. On 1 March 1945 Mrs Towell received a letter from the Pardre, Sidney H Price, offering his sympathy and support as her husband was missing. On 30 March 1945 Mrs Towell received a letter from the Air Ministry advising that her husband was to be re-commissioned from Warrant Officer to Pilot Officer (on probation) with effect from 5 February 1945. 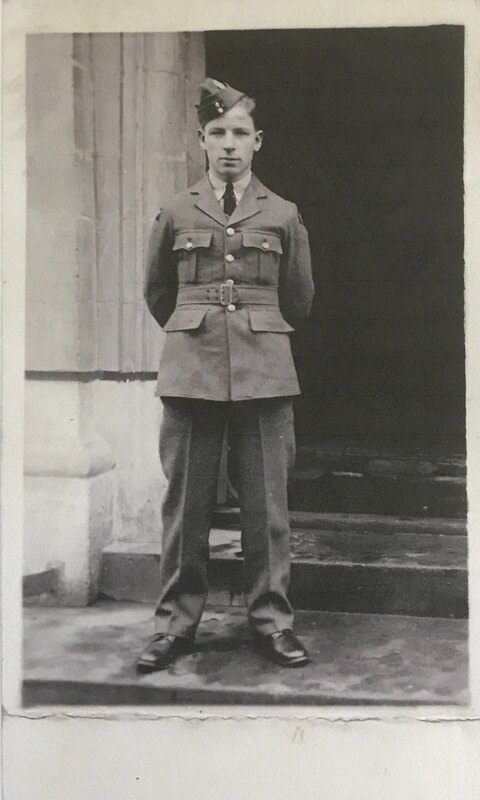 On 8 August 1945 Mr Ward (father-in-law of Plt/Off Towell) received a letter from the Air Ministry stating that all of the crew, except for WO Jennings and Flt/Lt Fowler had perished in a crash. 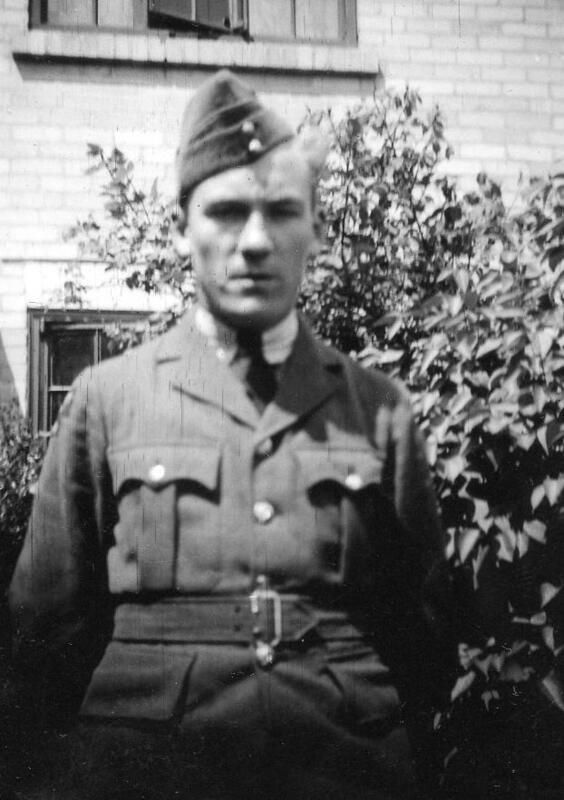 Flt/Lt Fowler was believed to have died in hospital later. 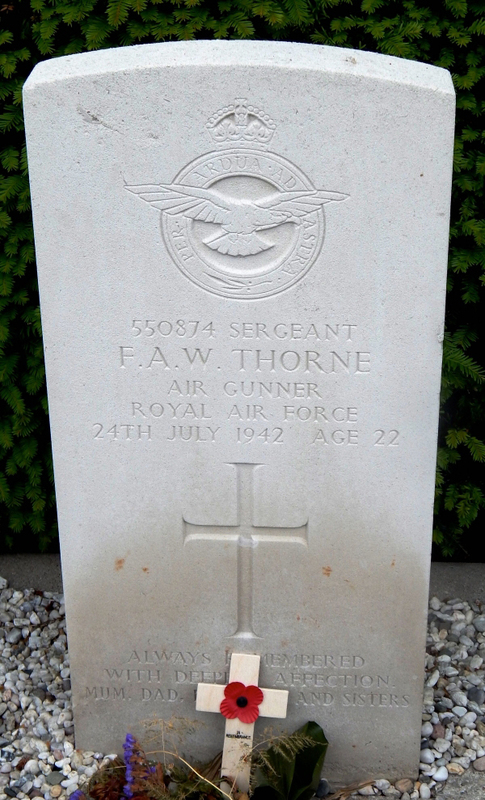 The body of the pilot, Fg/Off Shortle, had been found and was buried on 7 May 1945 at No 1 cemetery Ittenbach Germany. 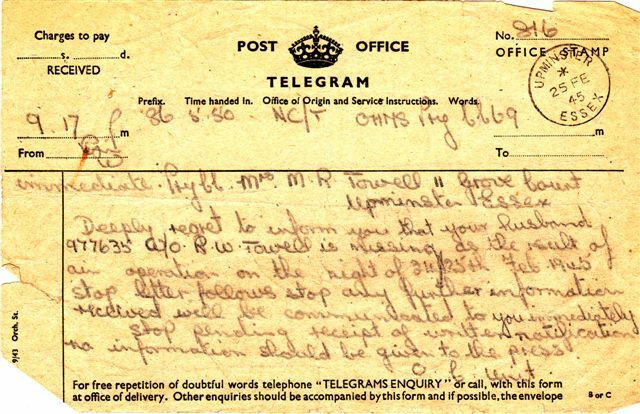 On 20 August 1946 Mrs Towell received a letter from the Air Ministry explaining exactly what had happened to the crew. the crew were found on the other side of the canal and were buried in the cemetery at Neersen." 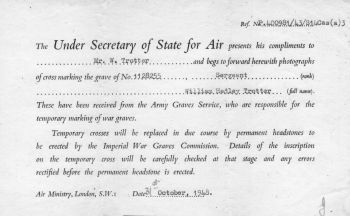 On 15 September 1947 Mrs Towell received a letter from the Air Ministry explaining that her husband's body had been re-interred at Rheinberg Military Cemetery, 23 miles north, north east of Dusseldorf. 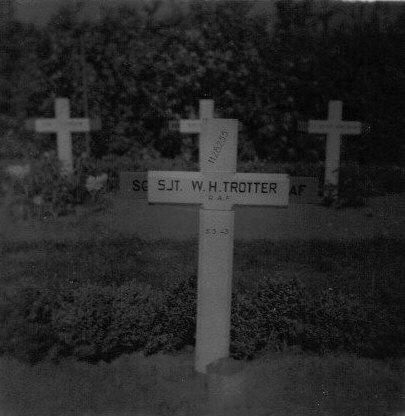 Son of William and Dorothy Ann Trotter from South Shields, Co. Durham, England. 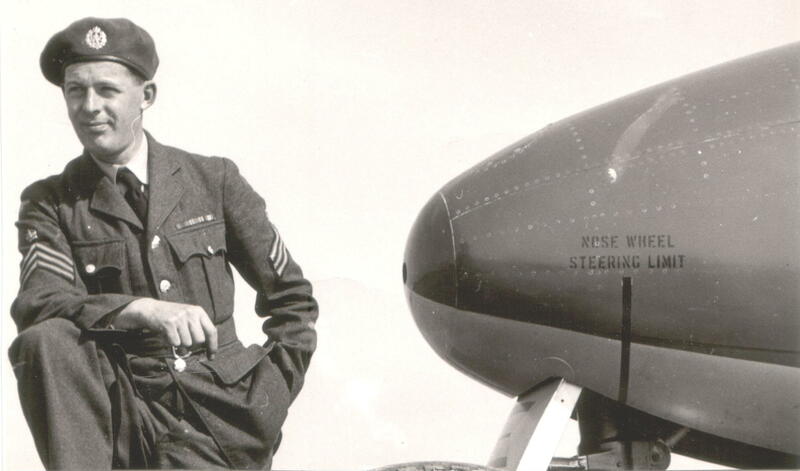 William Trotter was a gunner on the Short Stirling BK662 BU-K, which went missing in the early hours of 6 March 1943. That night the "Battle of the Ruhr" began, which was to last until July 1943. The first place to be attacked, by 442 aircraft, was Essen. The Stirling BK662 BU-K took off from Chedburgh airfield at 19.35 hrs and was shot down by anti-air artillery, probably from IJmuiden. The plane crashed into the North Sea near IJmuiden at 22.10 hrs. 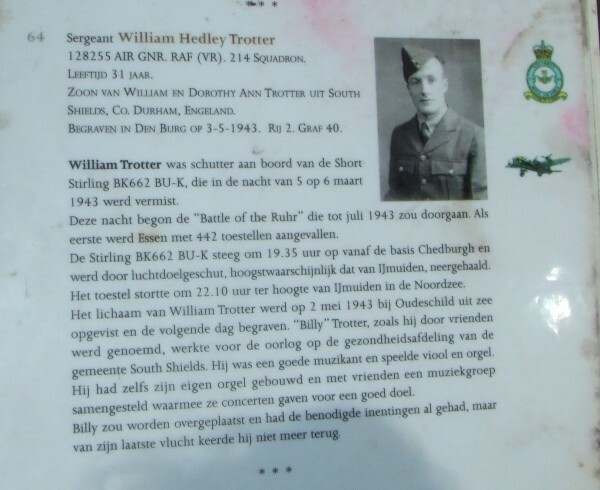 The body of William Trotter was recovered from the sea on 2 May 1943 near Oudeschild and buried the next day. Before the war "Billy" Trotter, as he was known to his friends, worked for the health department of South Shields council. He was a talented musician and played both violin and organ. He had even built his own organ and he and some friends had set up a band, giving concerts for charity. Billy was due to be posted abroad and had already had the necessary vaccinations, but he never returned from his last sortie. Sgt William Hedley 'Billy' Trotter, Air Gunner, 1128255, Royal Air Force Volunteer Reserve, Nationality : United Kingdom. KIA 5 March 1943 aged 31. 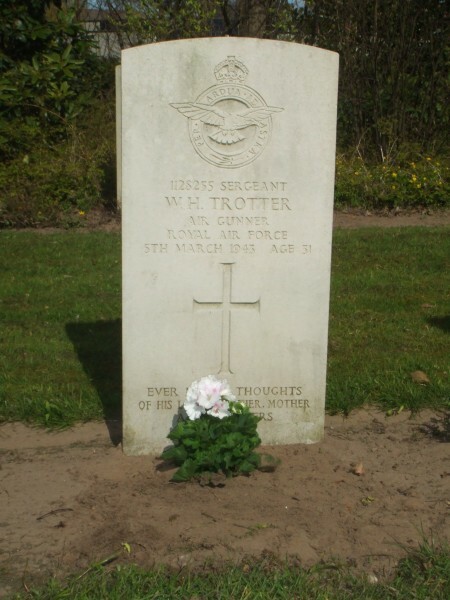 Son of William and Dorothy Ann Trotter, of South Shields, Co. Durham. He was posted to 214 Squadron on 31 December 1942. Named on the following Memorial : RUNNYMEDE MEMORIAL Panel 166. WO Phil N R Troutbeck , Bomb Aimer, Royal Australian Air Force , Nationality : Australian. Although he was a Bomb Aimer, the Fortress did not carry bombs so his role was changed to help out with Navigation / Observation / Jamming equipment. Son of George John Williams Taylor and Kathleen Ann Taylor, of Brighton, Sussex. Son of George William and Gertrude Alice Taylor, of Starston, Norfolk. Was rescued from L7849 when it came down in the North Sea off the Norfolk coast. 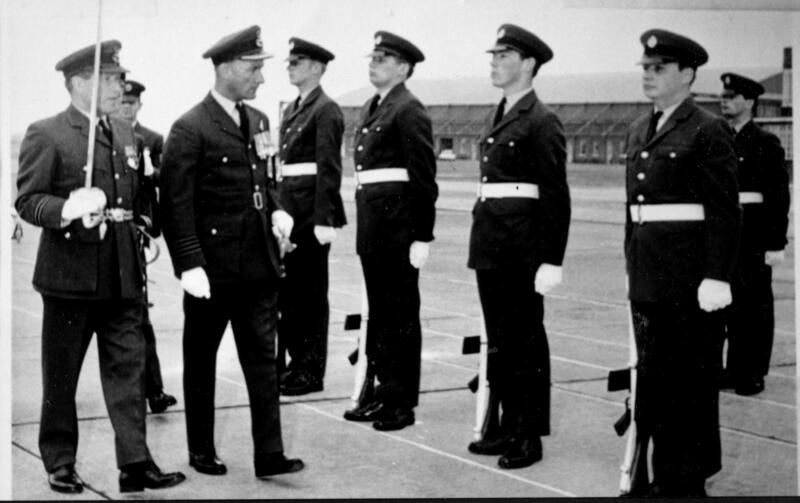 Tommy stayed in the service after the war The photograph below shows Tommy, as a Group Captain, inspecting a guard of honour somewhere. Murray recalls that Tommy told him that his father was, or had been, in the RAF, and believes Tommy said that his father had been a Medical Officer. Buried in WERKENDAM PROTESTANT CEMETERY. Reference : Row 8. Grave 4. Son of Frederick Arthur and Kathleen Jeanette Thorne; husband of Elsie Thorne. 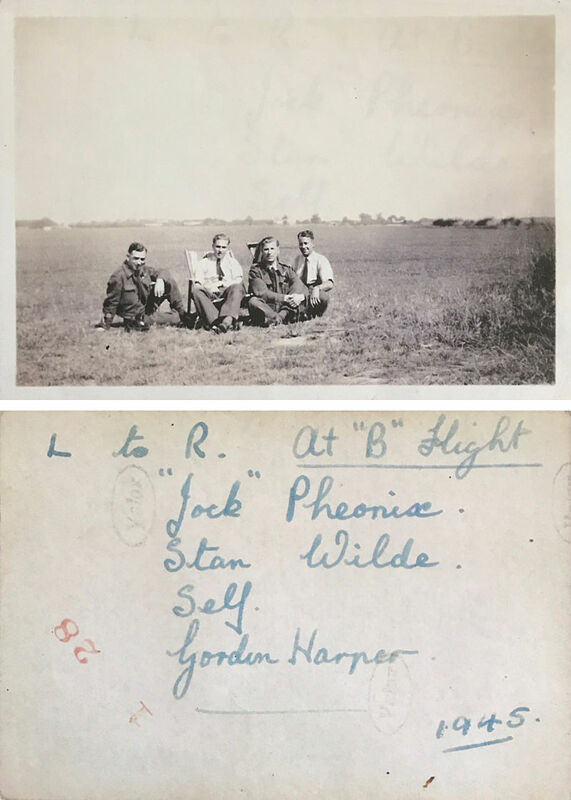 Balloon Operator, then MT Driver - RAF Sculthorpe, RAF Oulton, amongst other roles. Buried in HEVERLEE WAR CEMETERY. Reference : 2. J. 5. Son of Ambrose James Tillin and Elizabeth Carolina Tillin, of Woolston, Southampton; husband of Ruth Marion Tillin, of Verwood, Dorset. Buried in HANOVER WAR CEMETERY. Reference : 12. B. 10. Son of Robert George and Florence Mary Thomas, of West Ham, Essex. Buried in CLEETHORPES CEMETERY. Reference : Sec. B.B. Grave K.22. Son of Samuel and Amy Beatrice Turner, of Cleethorpes. Buried in BERGEN-OP-ZOOM WAR CEMETERY. Reference : 32. C. 2. Son of John James Tait, and of Blanche Tait, of Dunshelt, Fife. His brother Joseph also died on service. Son of Albert and Fanny Tinkler, of Woodston, Northamptonshire. Taken in September 1960. Can anyone identify the aircraft? 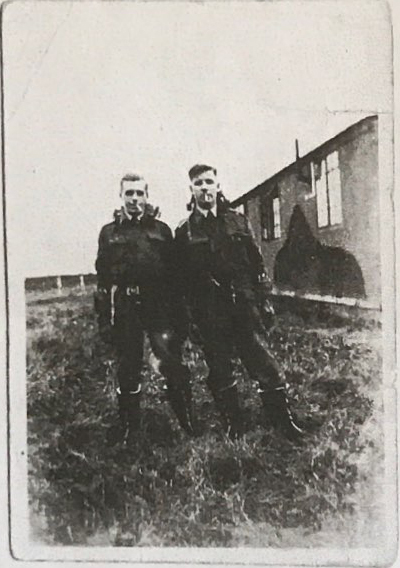 Peter joined as a RAF Cadet at Halton aged about 14. He trained as an engineer fitter. I am writing to you with regard to my uncle, Peter Thomas, who was stationed at Marham with 214 in the days of the Valiant tankers. Uncle Peter passed away a few years ago, but I have many memories, as a 10 year boy in the early 1960s, of Uncle Peter and some of his accounts of life with 214. My memories have been triggered by reading Eric Morgan's excellent book on the Valiant and, in particular, the photo on page 50, which is also featured on your website in the section on "The Valiant Years". It is a shot of the hose drum unit in the bomb bay. The senior NCO in the picture has the right number of stripes, the place and aircraft are right, but unfortunately it is a back view. Still it does look just like Uncle Peter. Does anyone know of the details of this photo and who is in it? 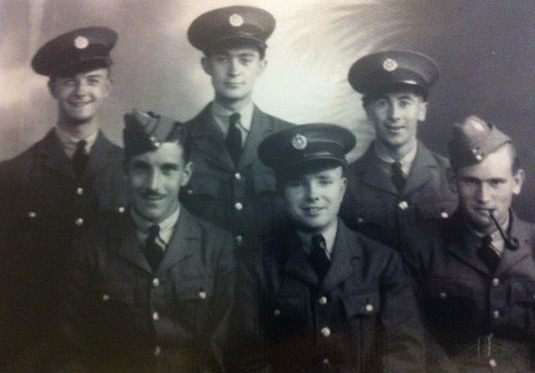 "Shaun Broaders, the writer of the "The Valiant Years" confirms that the airman in the centre of the picture is Peter Thomas." 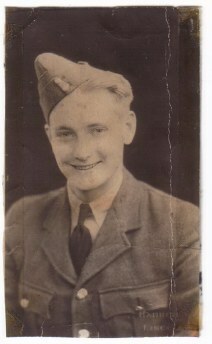 Uncle Peter joined the RAF as a cadet in the late 30's and served in Burma in WW2. He was awarded the Burma Star. My father remembers Peter talking about crossing the Irrawaddy and also being based at a 'diversion' airfield in the Andaman Islands. 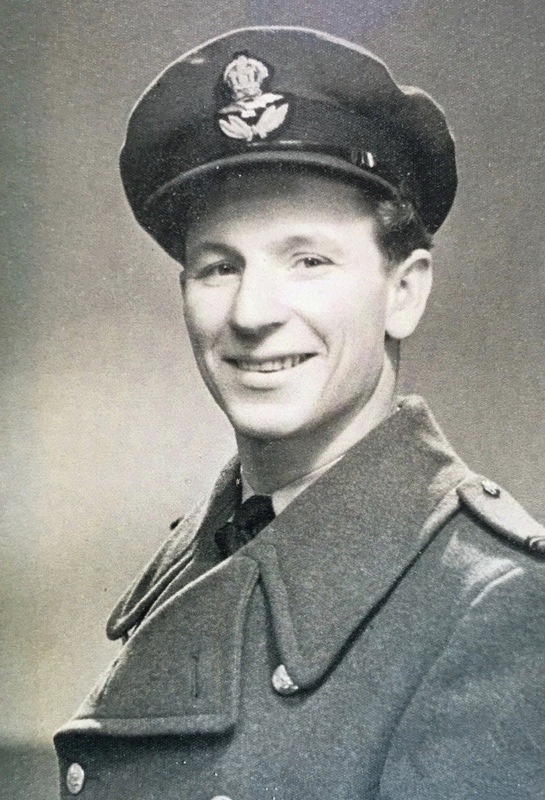 After the war he had a number of postings, including RAF Stafford de-commissioning aircraft, but his final posting with 214 at RAFMarham on Valiant Tankers was his favourite, as his wife was from Norfolk. After the RAF he worked for a small engineering company in Cornwall, before moving back to Norfolk, again to work in an engineering environment, in this case making spectacle lenses. Uncle Peter and Aunty Betty had a happy retirement in Downham Market, although the local fish might not agree, as he was a keen fisherman all his life. As is often the case with highly capable engineers, he demanded quality in what he did and what others did. The Valiant didn't always come up to his high standards and I think he was quite glad that he left the RAF before their final demise. Still, the Valiant ranked a lot higher in his estimation than the Javelin, which they often re-fuelled. "You wouldn't get me up in one of those" was his terse comment." Peter died in August 2001 aged 77. Buried in EINDHOVEN (WOENSEL) GENERAL CEMETERY. Reference : Plot JJ. Grave 53. Son of Mr. and Mrs. Clifford Turner, of Wallington, Surrey; husband of Beryl Barbara Turner, of Riddlesden, Yorkshire. Buried in DURNBACH WAR CEMETERY. Reference : 2. B. 18. Son of Eustace Martin Tingle and Ada Sarah Tingle (Dent); husband of Margot Tingle. Howard was born in 1902, the youngest of 5 children. In 1911 his father was a lay reader in the Church of England. Howard came to Galleywood to work at GEC. His wife Margot was born in Germany; they had no children. His parents are buried in St Michaels churchyard in Galleywood Essex. 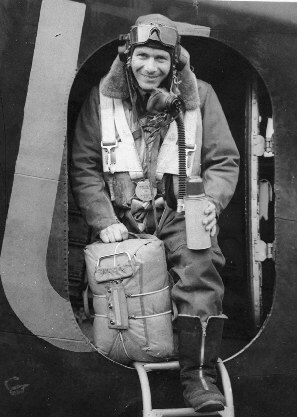 Howard volunteered for a joint mission with the RAF to study "flak". His elder brother John Charles Tingle had served in WW1 with the ASC and was awarded the Meritorious Service medal in 1916; he survived the war. Howard was awarded the MC posthumously, on 9 July 1942. Buried in SUDA BAY WAR CEMETERY. Reference : 16. C. 14. Son of William Patrick and Florence Mary Twomey, of Bromley, Kent. Athol served with 214 squadron in the second half of WWII out of Oulton mostly. He served as a Wireless Operator on Wellingtons, Lancasters and mostly B17 Fortress. of Somerset, England. 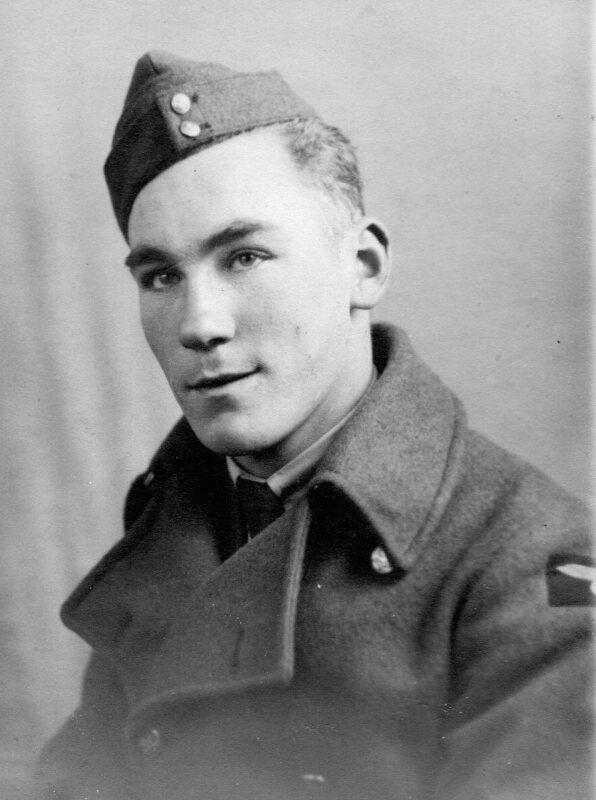 Vic served in the RAF during WW II. He was an avid sports enthusiast and a member of Dalewood Golf Club until his stroke in 2002. Also a member of Br. 30 R.C.L. and St. John's Anglican Church. Friends will be received at the ALLISON FUNERAL HOME, 103 Mill Street North, Port Hope Tuesday 9:30 am until Memorial Service at 11 am. If desired, memorial contributions may be made by cheque to charity of choice. 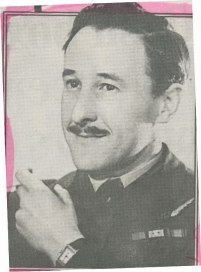 Enlisted with the RAF in 1941. Buried in DURNBACH WAR CEMETERY. Reference : 2. F. 4. Son of Horace Albert and Ellen May Tibbatts, of Woodford Green, Essex. 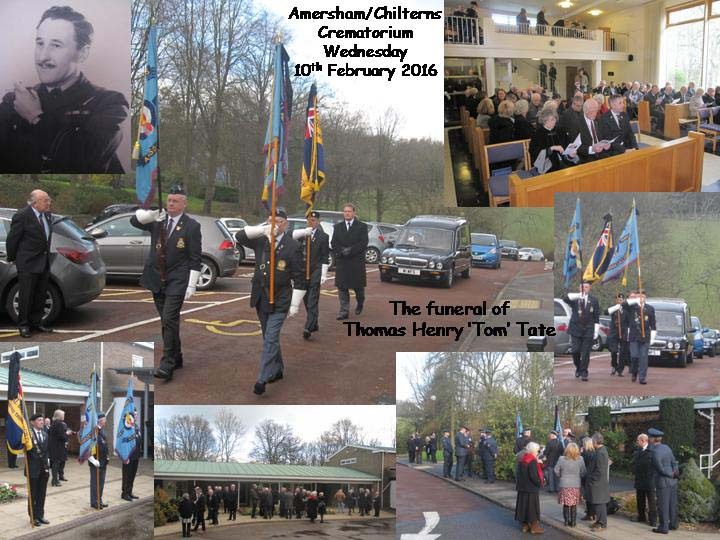 Sgt Tibbatts was a member of the Old Mercers Club. His name is on the Mercers' School Roll of Honour, currently on display in Mercers' Hall in London. His widowed mother Grace dies in 1936. Click on this link to find more information. May have initially been sent to another unknown Prison Camp. This may be the same person as Tommy Thompson. 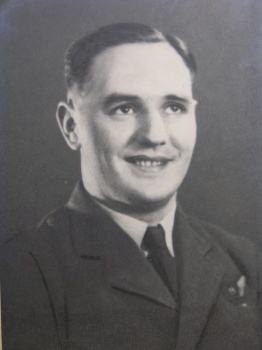 Flight Sergeant Temple transferred from 214 Squadron to the pathfinder 7 Squandron on 26 August 1942.